FNPF invites eco tourists to visit Kalimantan (Borneo) and Nusa Penida (Bali). We have accommodation at our projects sites and we work with local communities to develop and operate eco tours. Volunteering options are available in both locations. Please note that we are not a commercial operation. All proceeds from guests are “donations” and 100% of the money is used to fund FNPF’s project work. By staying with us, you get to stay in a unique environment, see conservation and community development work in action, and provide funds to help FNPF to continue its work. We take groups on our traditional Klotok boats into the Tanjung Puting National Park, and optionally, camping in tents in the rain forest. 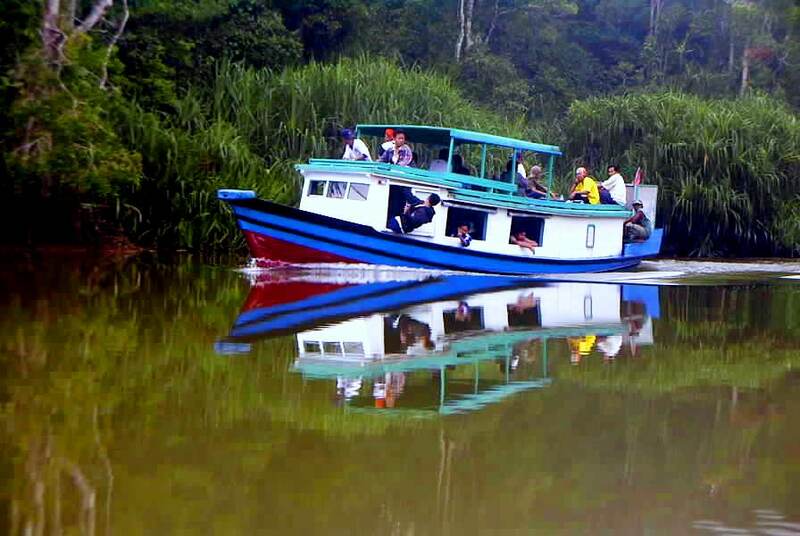 As well as seeing the rainforest and orangutans, hornbills and other wildlife as you cruise gently up the Sekonyer river into the National Park … we also encourage tourists to take walks into the rainforest and see our reforestation projects; meet the local village communities; and to also see how mining and palm oil plantations are threatening the region. If you would like to join our tour in Kalimantan, then please send an email to info@fnpf.org explaining your preferred dates. 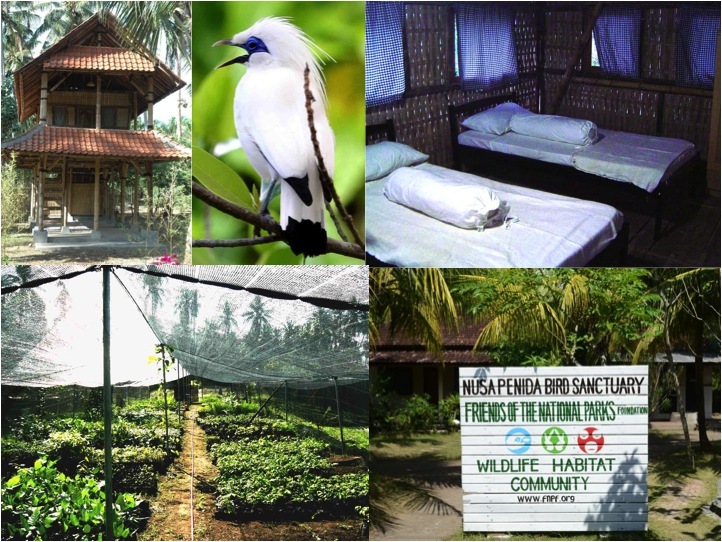 The FNPF Centre is located on beach on the north side of Nusa Penida, close to the village of Ped. We have 3 twin rooms, 1 single room, and a dormitory for larger groups … all set amongst the trees, nursery and wild birds, and just a short swim off the beach using just snorkel and mask is an amazing coral reef. There are plenty of interesting things to see and do on Nusa Penida … as long as you are not looking for restaurants and bars. We recommend you stay for a minimum of 2 days / 2 nights if want to see the whole island. But you will need to hire a motorbike / car. There is more information about Nusa Penida on our “volunteer in Bali on Nusa Penida” webpage.